Daniel Thron is a writer-director living in Los Angeles. To pay rent, however, he works in visual effects for film as a matte painter, and his work can be seen in OBLIVION, REAL STEEL, and David Fincher’s ZODIAC. You can find his extremely tense and effective zombie short film SPOILER here. I read Daniel’s thoughts on the coming television landscape on Facebook the other day and asked him if I could post his thoughts here. He was kind enough to oblige. This is a fairly raw, off-the-cuff post, but I think it’s a really astute perspective on the ever-evolving relationship between television and cinema. Read and comment below! I want television to become this visionary new art that everyone seems to believe it is, but it ain’t there yet, and we are only slowing the process down by overpraising what’s out there now. There is no difference, in terms of tools and talent, between film and TV — they made by writers, directors, actors, editors, with cameras, lights, and bags of sand. But even though TV has has been around for enough time for it to be seriously compared to film, the list of great works in the medium is depressingly small, and none reach the emotional or artistic heights of even the lower-echelon film classics. Breaking Bad is an excellent show — one of the best ever made — but I would be surprised if anyone were truly moved to tears at any point in the series; certainly not in the strangely uninventive finale. Everyone has a movie that’s made them cry, and that happens in 90 minutes. 50-plus hours of Walter White — great acting, fine writing –yet the finale to his story made barely a dent in me, emotionally. Even if you loved the finale episode, I can’t imagine all but the fringiest outliers in the audience being so affected as to sob — something that happens with relative frequency in movie theaters. And I’m willing to bet the same is true for The Sopranos, The Wire, Deadwood — any great show we can list. I’m sure anyone that’s reading this can come up with maybe one or two examples in their entire history of TV watching — but I’m just as sure that they can come up with at least 10 movies that do the same for them, and the compiled list would represent a huge range of films, not the same 3 over and over. Why is this? I don’t think it’s because of a lack of talent — the Wire is brilliant, the scene in the penultimate episode of Breaking Bad where Walter calls his wife is as well written as anything in the past ten years of film. I think, instead, it is the demands of TV itself. The pipeline that must be followed to create and produce any given show hobbles the drama automatically, at every turn in the process. First there is there is the false perception that knowing more about a character makes you feel more for them. This is the same thinking that produced an ‘explanation’ for the Force in Star Wars. Facts aren’t drama, and in reality, the more that pile up, the more muddy and randomized characterization can get. Towards the middle of Breaking Bad, I started wondering ‘why the hell is Skyler in this show?’ They only occasionally seemed to know what to do with her, and ultimately, her story comes to nothing. Same with the son. They are important to Walt’s story, sure, but do they deserve there own? So, in the end, much of this was simply filler. Does this happen in great film? Do we need to see Chris Sarandon’s home life before Al Pacino robs the bank in Dog Day Afternoon? Movies can be profoundly affecting because they have something to say, and if they say it well, it hits you. The point of TV isn’t to say something, though, it is to keep talking. The reason for this is entirely monetary — you want to keep the vaudeville act going as long as possible so that people buy more beer in the back of the hall. There is no doubt in my mind that a two hour version of the Breaking Bad story executed with the same workmanship would be a far superior experience — because they would be forced to get to the point, not keep tapdancing. And this would be true for a ten hour film version. Or a 20 hour film version. Two hours is a little kinder to my bladder’s needs, but there are plenty of examples of very long, very beautiful films. The key is that their stories are meant to be seen uninterrupted — they cast a spell on you, your mind is in the story — and as long as that spell isn’t broken, it will give you the emotional epiphany you are looking for. But not only are TV shows broken up into advertising-friendly chunks, which jar you back into the real world every ten minutes, deflating the emotional experience — but the episodic structure of modern TV narrative makes it almost impossible to have any emotional buildup at all. Audiences are in love with the idea of following stories that continue from one episode to the next — which is wonderful — but the fact that they are broken into hour-long installments completely arrests the emotional force of the story. And worse, any given episode is made up of 50% filler or plots that aren’t related to the emotional experience of that hour. For example, one of my favorite shows, Homicide: Life on the Street, has a stellar episode where a man (Vincent D’Onofrio) is trapped between a subway train and the platform. Everyone knows that when the train is lifted, the man will die, and the story follows Andre Brougher’s attempt to talk him through this. Powerful stuff. When I saw it again recently, I was shocked that half of it was dedicated to scenes with background characters’ unrelated problems that I had utterly forgotten about, and in fact were bored by. I may have been interested in those stories when I was watching it, but in terms of sitting down to experience something, they simply get in the way. If D’Onofrio’s story had been the single subject of the episode, and there were no commercials — that might have hit me in the gut. But there’s a reason I didn’t cry, powerful as the writing and performance was: I was constantly being distracted. The stoy could never add up. What’s particularly irritating is that we have kept this writing style/format even when we don’t need to. Why is Netflix’ excellent House of Cards broken up into hourlong episodes when most people watch it straight through on a Saturday? Why introduce an emotional speedbump into an experience when I have a pause button i can hit whenever i need? Long films, like Lawrence of Arabia for example, had intermissions for two reasons — 1) okay fine, you can go pee, and 2) this is actually two films. The first half doesn’t break arbitrarily at the hour and half mark, it stops when that story is done — they have a full statement to make first, then you can hit the head. But even during the intermission, the music remained playing in the theater to keep you in the emotional mindset, so when you returned to your seat, the film hadn’t lost important ground with you. They wanted you to still be, at least partially, in Lawrence’s world. TV does it’s best to mimic this, but most shows are stuffed with an enormous amount of material that simply has nothing to do with the primary emotional story, and it makes really feeling things past the point of novelty a tricky proposition. This isn’t the only way that TV limits how you tell a story — for all its leaps in production quality, has essentially remained what it was when it started — radio with pictures. It is rare when something actually happens. Almost every show, even the very best ones, are made up of scenes that essentially go like this: someone is in a room, someone else comes in, and they talk about something that happened. Then they talk about what they will do about it. The actual doing part rarely comes up. Why? Because doing things, in terms of movie making, generally more expensive. So keep ’em chatting. This makes for a lot of snappy dialogue, and maybe some good acting moments, but stuff like this has no dramatic purpose, as Hemingway would put it, it’s mistaking motion for action. Because there is nothing magical about being in a movie theater. I prefer it, it’s cool to me, but it’s not essential towards me investing in a film — I’ve seen many great films for the first time on a television set, and it didn’t keep me from crying. These same incredibly talented people that make Game of Thrones, Breaking Bad, Mad Men, on and on — their ability to make me cry is being hindered by one thing, and one thing only: pipeline. 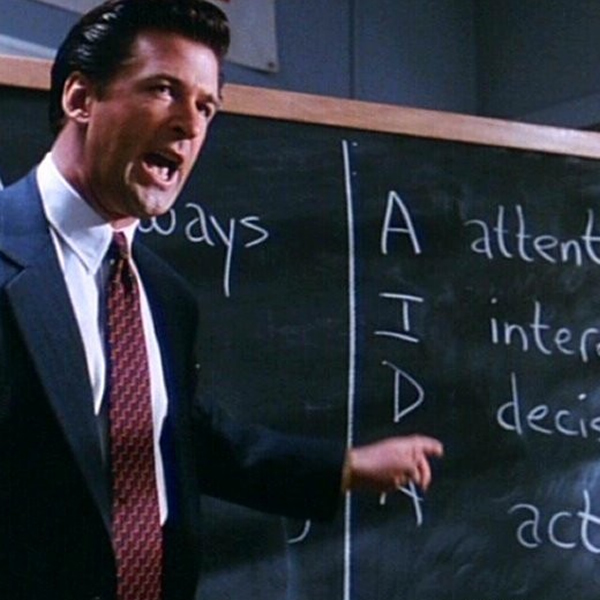 The demands of how TV is made ruin drama. It can be fun, clever, fascinating, exciting, and sad — all to a point. So when people declare that film is dead, and “TV is the new cinema,” I have to ask we put the breaks on. This is the identical mistake to film nerds rhapsodizing about how going to the theater like there’s some intangible specialness that can’t be replicated on the small screen. That is nonsense. I do agree that TV — especially now — can do things far better than film — the duration of the experience allows for byzantine, savory plots, deep worlds, and (when done well) richly detailed characters that are difficult to squeeze into two hours. So I mean to say that TV could be as great as any great film — there is nothing to stop it. But in reality, because of the way we make and watch it, TV is currently more rigid and limiting in storytelling than any film format. There is virtually no variety in subject matter, structure, or execution. The pipeline of TV all but forbids experimentation in visuals, form or story structure. Shows have their own visual character, sure, and sometimes, like Breaking Bad, they incorporate some artful flourishes. But can you imagine Breathless the show? What about Picnic at Hanging Rock? Shawshank Redemption? Jaws? Well, we should start imagining these. The reason they sound ridiculous is because the way we think of TV is so radically limited, so hemmed in by an ancient, outdated pipeline, that all we can think of is how these things would be terrible if you tried to make a ‘show’ out of them. So instead, we get yet another story about a middle aged criminal and his/her family problems. — and (I’m looking at you, film nerds) we shouldn’t kid ourselves, that it will always be this way. The fact that I’ve never seen anything that is anywhere near as good as Close Encounters on TV doesn’t mean that it’s in any way impossible. 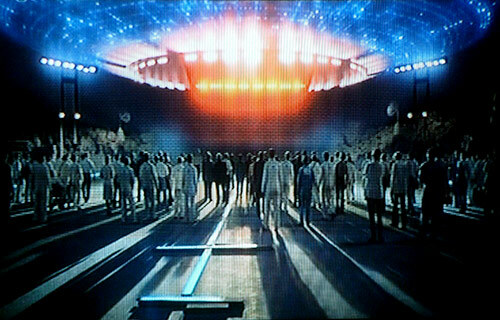 In fact it’s obviously possible, because as far as I know, Close Encounters was made with cameras and actors. But we’ll only get there if we are honest with ourselves on both sides. 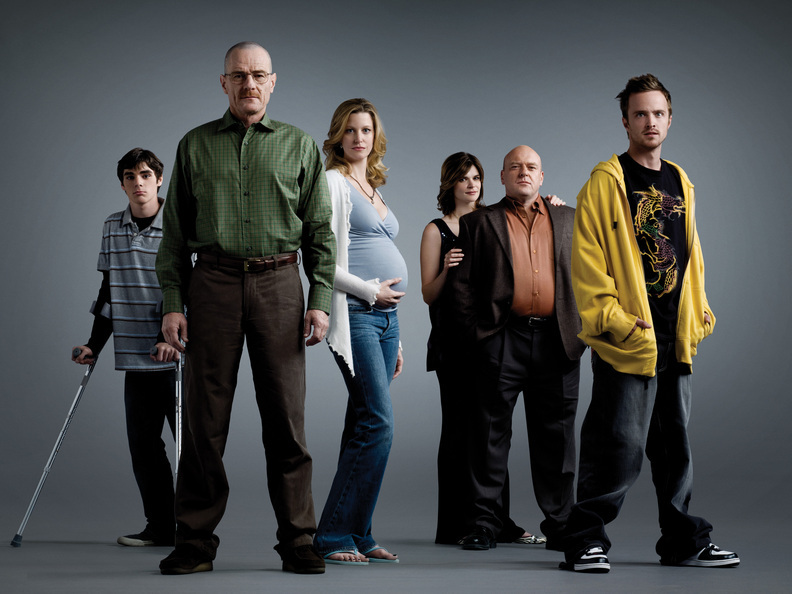 Breaking Bad, as awesome as it is (and it is) — never made me cry. So next time guys, the goal should be this: figure out how to to do that. Weed out the weaknesses of TV as it is, bring in the incredible range of things that film does well, and forget film’s former limitations. In short, we need to set ourselves free from thinking of things as TV or film, and make use of the best of both. I want my novelistic character driven dense family dramas, absolutely — i just don’t want that to be the only game in town. I want a Netflixian universe where there I can sit down and watch a twelve hour film with no dialogue. Or an hour-long one-off comedy that I quote for the rest of my life. Variety. Emotion. Art. I want TV to be as broad ranging as film is, and more so — and it’s all perfectly possible if we finally break how we think about it, both as filmmakers and as audience members. It is all one art form with a million facets. Damn, this rant is long enough it should have been a show.